Park Hotel Villa Ariston can offer its guests a top-level service, with a choice of Restaurants and Bars designed to satisfy even the most demanding guests. Luxurious surroundings are the setting for rich breakfasts, lunches and dinners: both in summer and winter, Villa Ariston offers a unique combination of elegant locations and high quality cuisine, with tradition Tuscan foods and international dishes. There are numerous opportunities for tasting our chef’s specialities and our romantic restaurant in Versilia also welcome customers who are not staying at the hotel. Surrounded by lush parkland, our facilities are perfect for organizing wedding banquets, christenings, holy communions, receptions, fashion shows and many other events. The hotel provides availability of the magnificent multi-functional complex and the centuries-old park, which can accommodate up to 250 guests. Dishes for vegetarians, vegans, celiacs, diabetics and people suffering from high blood pressure are also available on the menu. Breakfast: 7:30 a.m. – 10:30 a.m. Lunch: 12:30 p.m. – 2:00 p.m.
Dinner: 7:30 p.m. – 10:00 p.m. The Bar Marrakech is located inside the lush park and is perfect for sipping cocktails and treating yourself to a few moments of relaxation by the pool. The Puccini Bar is situated in the hotel lobby, inside the main Villa. A charming, refined atmosphere makes it an ideal place to meet or read a good book, possibly while sipping an excellent cocktail. 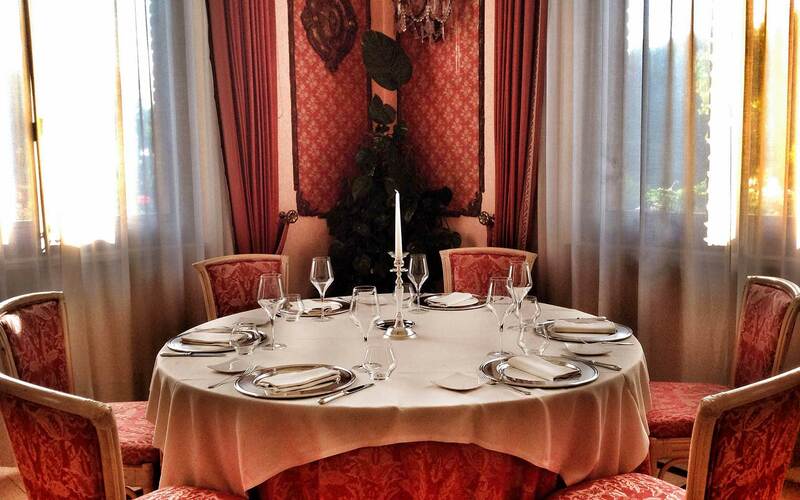 On the ground floor of the main Villa, you will find the D’Annunzio restaurant, a prestigious place in which style and good food unite, where you can taste local specialities as well as international recipes. At the Park Hotel Villa Ariston, each day starts with a smile, thanks to a delicious breakfast served by the pool in the Rolandi Ricci Room. Iscriviti alla newsletter per ricevere in anteprima le nostre promozioni! Iscrivendomi alla Newsletter dichiaro di aver preso visione dell’informativa privacy D.Lgs. n. 196/2003 di Villa Ariston.